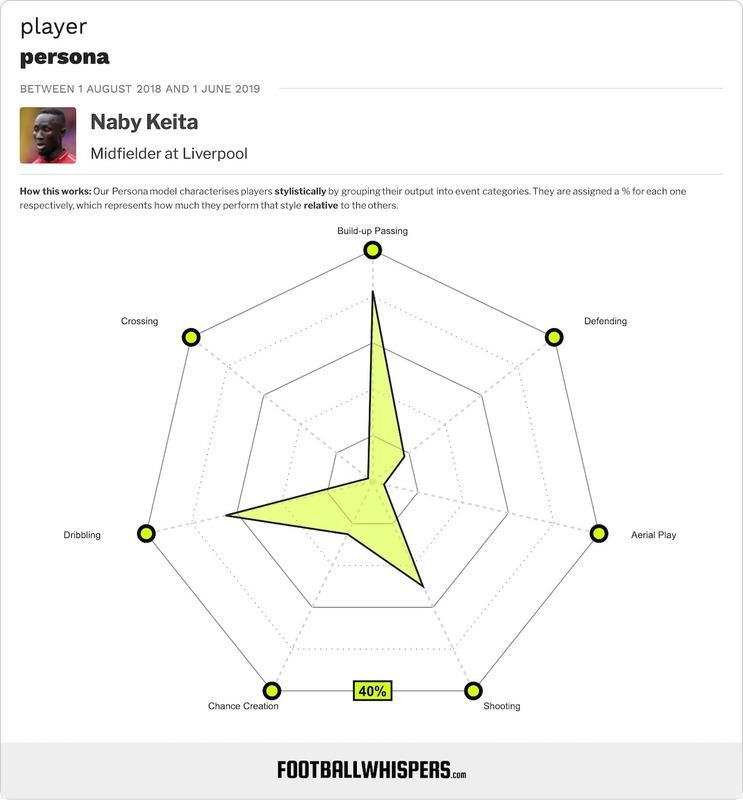 Naby Keita was supposed to the game-changer. The dynamic Guinean arrived on Merseyside in the summer of 2018 having agreed to sign for Liverpool in August 2017, and was expected to be the difference-maker from the off. It was, in many ways, the perfect storm for the former Red Bull Salzburg man. He had the fans on side from the off after they’d witnessed the Reds struggle to break down low blocks for a number of seasons. He was, on paper at least, the man to help pick the most complex of locks. His slaloming runs caused havoc in the Bundesliga and he made quite the impression against West Ham United on his debut. However, for various reasons, Keita wasn’t able to use that performance on the opening day of the season as a springboard and, because fans weren’t getting to see the same player they salivated over when watching his highlight reel, he was being written off. The 23-year-old had bad luck with injuries. He’s also been something of a victim of circumstance, with Jurgen Klopp having to tweak the system here and there. For a player not entirely up to speed with the rigours of the Liverpool system just yet it’s hardly ideal. The left-flank role he’s occasionally been deployed in doesn’t play to his strengths and, though his general performances have been underwhelming, you can’t help but feel a little sorry for him. The year-long wait to see him in red worked against him. Liverpool’s struggles coupled with Keita’s unique skillset, which saw him post remarkable all-round numbers for a midfielder, meant the pressure on him to perform was there before he’d even kicked a ball. He arrived with the Reds in transition, meaning not only is he having to adapt to a new league, a new language and a new team, but also to a new style. Klopp used to say ‘gegenpressing’ was the best playmaker in world football. RB Leipzig adopted a similar approach, with the German outfit looking to play transitional football. Keita was key in those moments and perhaps would’ve been had Liverpool looked to blitz teams this season. Plenty of fans have already seen enough and aren’t prepared to give the Liverpool No.8 any more opportunities, at least not this season. His name in the starting XI, which was once met with excitement, is now met with disappointment. And yet in recent draws against Leicester City and West Ham, Keita has delivered. In both matches he’s flattered to deceive in the opening 45 minutes but his performances picked up after the break. In both games he was almost the deciding factor. A driving run from deep and a one-two with Roberto Firmino saw him free in the Leicester penalty area. Just as he was about to shoot, Ricardo Pereira clipped his standing foot and the shot was skewed. It’s a stonewall penalty yet Martin Atkinson waved play on. Against West Ham United, with seconds remaining on the clock, Keita dribbled past Declan Rice to create space on the edge of the area. He then delicately lifted the ball over the defence and into the path of Divock Origi, who was offside but the linesman didn’t flag. The derby hero brought it down superbly but failed to connect with his shot and Liverpool dropped another two points. On another day, Atkinson awards a penalty and Liverpool win. On another day, Origi shows composure and lashes the ball home. The outcomes in both instances shouldn’t detract from what went before it: Keita stepping up and making something happen when the Reds needed a goal. It isn’t just those two instances which highlight his impact on this Reds side in both matches, either. Against Leicester, he played 40.2 per cent of his passes forward. He was always probing and always looking for an opening to get Liverpool onto the attack. For added context, Georginio Wijnaldum, his partner on the night, played just 16.9 per cent of his forward. Now, they aren’t identical players and they aren’t tasked with the same jobs, but it goes to show how progressive the Keita was. Against West Ham, he was even better. He again played a high number of passes forward – 31 per cent of them, the same as Adam Lallana, compared to Fabinho’s 21 per cent. Again, they aren’t playing the same roles, it’s just for contextual purposes. Despite playing a number of risky passes as he looked to get Liverpool moving forward he finished with a 90 per cent pass accuracy on the night. He also chipped in with one key pass – the ball to Origi. He completed six take-ons, the same amount as Sadio Mane, Roberto Firmino and Mohamed Salah managed as a collective, and he was only dribbled past on one occasion. Sooner rather than later it’s going to click for the former RB Leipzig whirlwind. Though it’s clear Keita isn’t up to the speed of things just yet, and this isn’t the player who terrorised the Bundesliga, there are signs that he’s finding his rhythm. And, for Liverpool, it couldn’t have come at a better time. The Reds have looked blunt over recent weeks with Salah looking isolated in attack and Firmino looking a little off the pace. With tough games on the horizon, and Manchester City breathing down their neck, they need that wildcard. They have it in their No.8.